3 Reasons why credit will help your business. Business credit is vital. Most small businesses don’t save cash. In addition, sooner or later every business will face a financial challenge. While your business may be doing well financially, you never know when you will face a roadblock. Also, a business line of credit is a great financial tool to purchase inventory, equipment, add additional staff and execute marketing strategies. One of the best financial products for businesses is a business line of credit. A business line of credit can help with all of these issues. At the same time a business line of credit has many other benefits. A business line of credit is an amount of capital issued by a financial institution to your business. In some cases, there is a determined amount of time and in other cases an undetermined amount of time to repay back what you use. The convenience is the repayment schedule which is repaid periodically and can be borrowed again once it’s repaid. Today, banks are not the only financing institutions that offer lines of credit. The nice feature about a business line of credit is that you only pay for what you use. If you repay back what you use, those funds become available again to reuse. The credit limit may be used again and again as long as you repay back what you use, and you don’t exceed the limit. A business line of credit is like a credit card, but different in many ways. Every business owner should have a business line of credit even if you don’t need it. These are the three reasons why a business line of credit will help your business. A traditional loan requires payment every month, week or daily. A business line of credit does not require payments unless if you withdraw funds. This allows you to have cash on demand when you need it. Let’s assume you don’t need additional capital for your business and all of the sudden an opportunity arises, you can access your business line of credit. One of the biggest mistakes that business owners make is applying for a business loan when times are hard. Most of the times, these businesses get denied for a business loan because they don’t qualify due to declining revenues, credit issues, or some other reason. 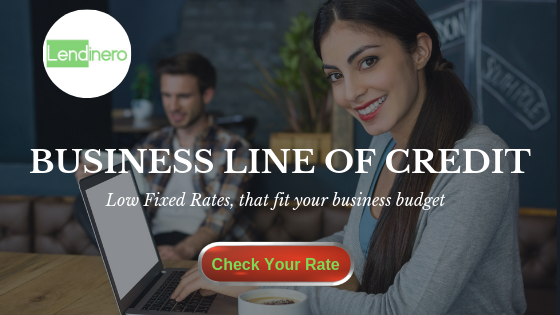 If you have a business line of credit and your sales drop or your credit score drops you don’t need to worry about qualifying for a loan because you have the business line of credit you can tap into. Also, you may face seasonal trends or external factors that may affect business cash flow and you find yourself wanting to borrow money. Rather than applying for a loan, you have the business line of credit to withdraw the funds from. A business line of credit gives you the freedom to access cash only when you need it and help your business run smooth or help you expand or grow your business. A business line of credit will help you establish business credit as oppose to personal credit. When you obtain a business line of credit it is being issued to the business. Even though you may not need the funds, you can always withdraw a minimal amount to assure that your business obtains credit ratings. Once you utilize your business line of credit several times, this will build a payment history for your company. In addition, if you use your line of credit enough times you can request an credit limit increase. This will help you obtain term loans in the future. Also, if you seek repayment terms from vendors this will help you as well. If you obtain an equipment loan you can only use those funds to buy equipment. Factoring, you can only use the funds against your accounts receivables. When you obtain a commercial mortgage you can only use the capital to buy a property. If you have an investor, the investor will want an expense report of financial statements to know how funds are being utilized. With a business line of credit, you decide what to spend the cash on for your business. This is known as discretionary spending. A business line of credit can be utilized for multi-purposes as oppose to one purpose. This allows you to have flexibility on the usage of the funds. There are other benefits that a business has when they obtain a business line of credit. These are the top three reasons why a business line of credit will help your business.